Is importing Bryce content to DAZ Studio 4.5 possible? of course i'll stay tuned in case there's more coming. about what to transfer where, maybe it depends too of where the focus of the picture is? like, i'd want to show, i dunno, a prehistoric scene with awesome wild landscape, with a good terrain - and a tribe, but the people aren't too near, and the emphasis is on the landscape, the people are rather props = bryce? but if the focus was more on the people, with close-ups or just them nearer, and the landscape is just decorative but clearly a background, i'd pick daz? guess i'll have to discover it by trial, as Sean said. same for the whole tech aspect of what runs better.. once i manage to get my hands on the prog. btw i don't have 64-bit anyway, just a meager asus netbook running windows 7. it's already a miracle that daz runs. laggy, crashy, but it runs as long as i keep my scenes very simple, and render middle-low quality. i didn't even manage to get shadow rendering.. and light presets overkill the scene = crash. animation, i didn't even try, i mean if this thing crashes on 1 picture already... the memory is a big issue, as is the nonexistant graphic card (it's an integrated chip). Considering your system and what you intend to do, I suspect memory will be the main hinderance, not only for Bryce but for Studio as well. yes, it seems so. when i render with quality 4, which i can only do with 1 genesis, no deco and only in a small sized render, it works half of the time and the render terminates how it should, else it stops mid-rendering and daz just disappears - when the available memory is used i guess. my option are: render in bad quality, aka no shadows (no graphic card with super GSL, just an integrated chip..) and shaders mostly not working - or "low fat" dull scenes in full quality, but miniature pics. and when i make changes in a scene as i'm still working on it, even using wireframes, it lags so much that i stop after a while. i was so elated to notice that daz actually does work on my netbook - but it's like a demo version. enough to show you the program and make you want for more, but you can't work with it... i will have to upgrade my system if i want more than miserable results. You should probably download the free 3Delight stand alone render engine, and render using that instead of trying to render directly in Daz. just to thank you - 3delight helped a lot, albeit with some issues at the start, due to (not certain but probable) progressive rendering - described here - anyway my 1st bigger pic in quality 4 went through! Bryce prop file --> Bryce (via Create menu) --> Send to Daz --> (In Daz: ) Export to FBX --> Use model in XNA (and they are all esploded at this point). I've been informed that merging the meshes would break all the texturing (which I'd rather not redo). So I would rather somehow bake the transforms at export time (either straight out of Bryce, or out of Daz), so that they different meshes show up in the correct positions in the final step. Is there a way for me to do this in either Bryce or Daz so that the transforms are not being mangled? For reference, I also have Maya (student) and Blender (which I only slightly know), if they turn out to be better tools for this and someone can hand-hold me through the process :cheese:. Got to go to work now, but here's a quick pointer. Yesterday I posted three video's that are all concerned with extracting geometry and textures from Bryce - in this case - to port them over to Octane. It's a tedious process as I've done it, but maybe it will offer some clues to your problem. 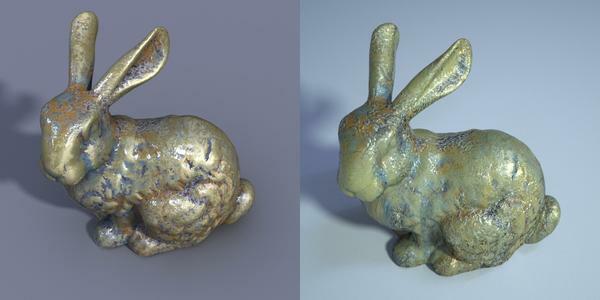 I've figured out how to do what I wanted (find a path from bryce object to FBX preserving texture and transform alike). But there are a few quirks I was hoping someone in here might be able to clear up. First, when a model is coming over the Bryce/Daz bridge, every object in the model seems to take on the texture of the most recent one added. How do I/can I prevent this? Second, Bryce crashes when trying to send certain parts of certain models. Some very-multi-part models will go fine and then a model with 4 parts will fail on the third. I can't tell exactly what is happening, but I have tried ungrouping the objects in the model and sending them over one by one. This will get me down to where I have eliminated all but the problem objects in the model, but nothing I try can get those problem objects to cross the bridge without Bryce crashing. I'd really like to know the culprit here so I can squash it and finish the process of converting all of these models (some of the coolest one won't come over and it's making me really sad). Also, thanks to everyone for your quick replies. I've got to say, I was just as surprised as you were that the mesh was slower than the tree. I would have expected it to be faster too. My dilemma is slightly different in that I'm not using them models in a render, but in a 3D game. So any kind of replacement with similar looking objects wouldn't do the trick (although its an interesting idea). I'm also a bit curious about how you were exporting models with textures successfully. In my experiment exporting from Bryce (I tried every format any of my other editors could take), none of them sent out the materials/textures correctly. They all copied generated images which looked like they had exported the top row of pixels in the image and then duplicated that row for every row in the texture. When I go through Daz, it sends a material (only the last one, like I mentioned earlier) and when I export Collada from Daz it sends those textures out correctly as full images (their resolution is tiny [~200x~300], though). Maybe one of the materials is at fault? That's just a side thought because it seems to crash with a "Sending Material" dialog open. so, since obviously content can be shifted to & fro (just clicked on a mini-tutorial), what would make more sense? create landscapes in bryce and import them into daz, and finish the work in daz, with people, animations etc? or import people in bryce, and finish the work in bryce? Unfortunately, transfer is not seamless. Some things may work in one application and not the in the other, or some things might require a bunch of jumping through hoops to transfer from one application to the other, or some things might simply be easier in one application than the other. Or perhaps everything will work fine for you. It might depend on your scene. If you have an idea for a scene, you might even want to briefly experiment transferring test articles from one application to the other before doing any work to see what happens, and that might answer your question right away. Bryce is a 32-bit application and cannot access a lot of memory, whereas there is a 64-bit version of DAZ Studio available if you have the hardware to use it. IF your scene is memory-intensive, you might run out of memory sooner in Bryce than in DAZ Studio, but this might not be a problem for you. You may find one application runs with fewer problems than the other depending on how you use it, or you may also find one application more intuitive to use than the other, and may simply prefer to work in whichever is easier for you to use. If all you want to do is place a single figure in a landscape with a sky, it would probably make sense to pose your figure in DAZ Studio and do the rest of the work in Bryce. If you want something from your Bryce library and have already verified that it WILL transfer to DAZ studio and you are happy with the quality and materials, aren't using skies or terrains and have numerous figures that you wish to constantly adjust the poses on, it would probably make sense for you to use DAZ Studio. There are probably more points to consider I haven't thought of offhand that other people can suggest. I Bryce the render uses a standard shader which would be compiled in native code (possibly using the GPU) so its fast, then it uses scripted materials this will basically generate a dynamic texture map for the object bases on structural properties i.e. slope. While Daz uses Scripted Shaders, hence they are compiled to a byte code/VM code which will be executed during the rendering, like Python or Java instead of C++, these Shaders then load multiple materials and run complex algorithms based on the materials and lighting to generate an value for each pixel. Bryce has Advanced Lights, while Studio has Basic Light, and Environment Lights. Enviroument Lights are scripted lights, using a special shader to generate the light source, hence they are more powerful then the advanced light but far slower and more complex to render, also they need to be configured correctly to work. Daz also support scriptable camera that can produce Enviroument effect i,e, fog, underwater, haze. While Bryce Natively supports basic environment effects. So for a basic secne nothing realy complex Bryce is mostly better, by it people, some animals complex object are the focus or you want some strange lighting, or enviroument effects i.e. luminescence fog, glowing liquids etc. DAZ Studio can do it while Bryce Can't, however it going to take a massive amount of computational power to render it. i.e. DAZ Studio can render any thing we can think of we just need to build the scripts to control the render, Bryce dose a really good job of normal environments, and it dose it faster than DAZ studio can. I will however admit I may have missed some of Bryce's capabilities, but as far as I can see, assuming you can get the generated materials, and build a light shader for the light, a scripted camera for fog and haze DAZ will do every thing that Bryce can it just hard to set up. One other thing, In theory you could add Bryce materials to DAZ studio as it allows for scripted addons but it would remember the settings, it would just generate the material files and save them to disk for the shader to use. Some DAZ studio products use this ablith to gennerate make up for faces, nail textures, etc.